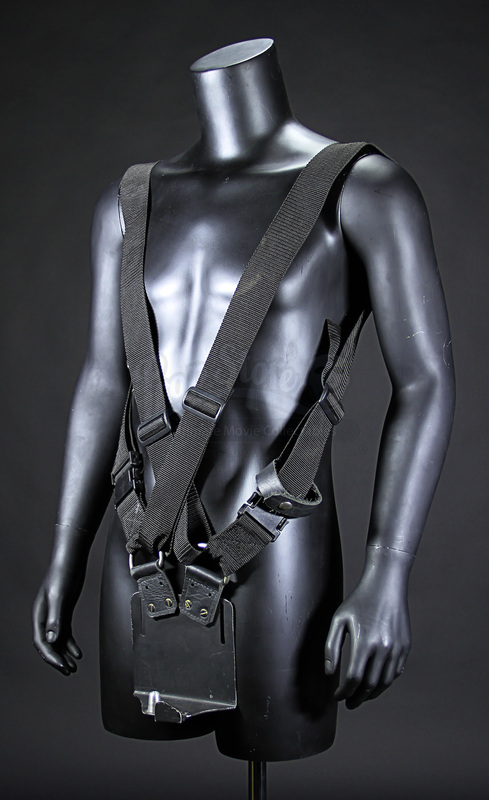 A prototype machine gun sling used in the production of the 2005 shooter Doom, starring Karl Urban and Dwayne Johnson. When a science team goes missing in a research base on Mars, Sarge (Johnson), Reaper (Urban) and the RRTS are sent in to find them. But a terrible secret and inhuman experimentation have created monsters beyond imagining, and they have to do whatever it takes to stop them reaching Earth. 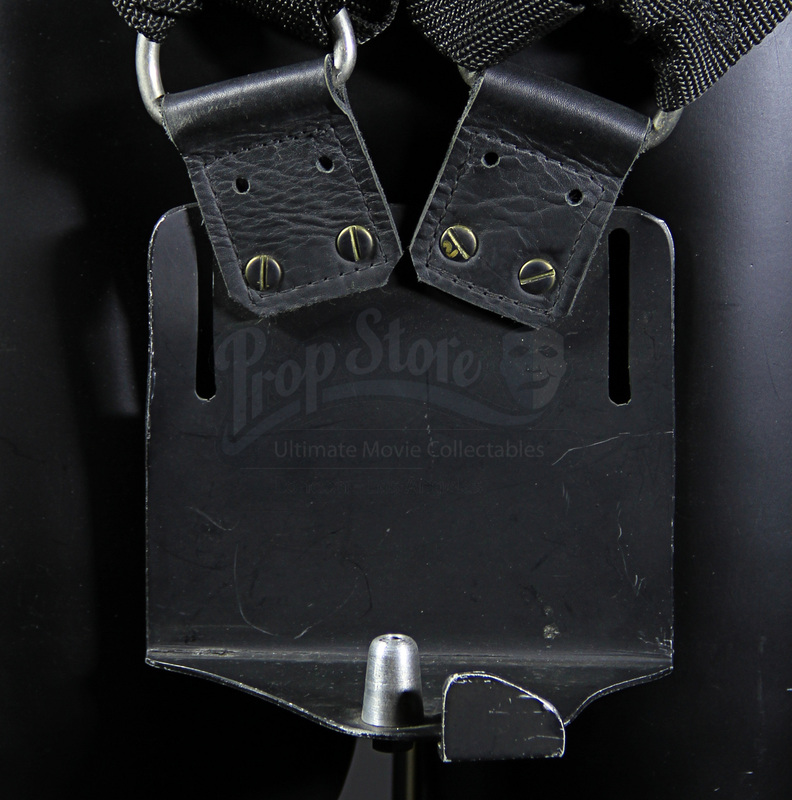 This type of sling was created to carry the heavy rotary machine gun man-handled by the massive RRTS trooper Destroyer (Deobia Oparei). 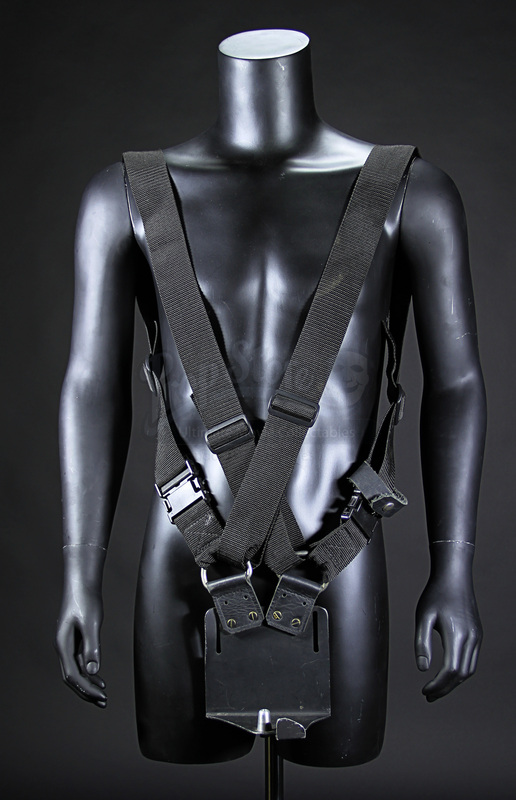 The final version of the sling used in the film only used a single sling over the left shoulder, with this two-shoulder rig created as a prototype. 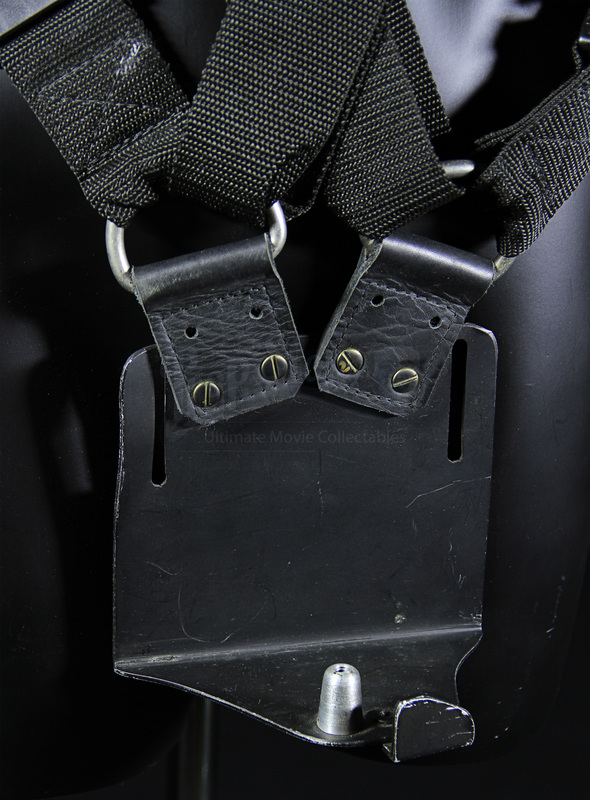 The piece is composed of a metal machine gun mount made from steel with two black nylon webbing straps running back that are designed to be worn across the shoulders. A prong on the mount held the Browning 30cal machine gun used for the weapon in place. Showing signs of light wear from use on the production, the piece remains in overall good condition.